The book was published in 2008 by Cumberland House. It runs 332 pages and is filled with maps and photographs. I am surprised that they priced the book so reasonably– $24.95. 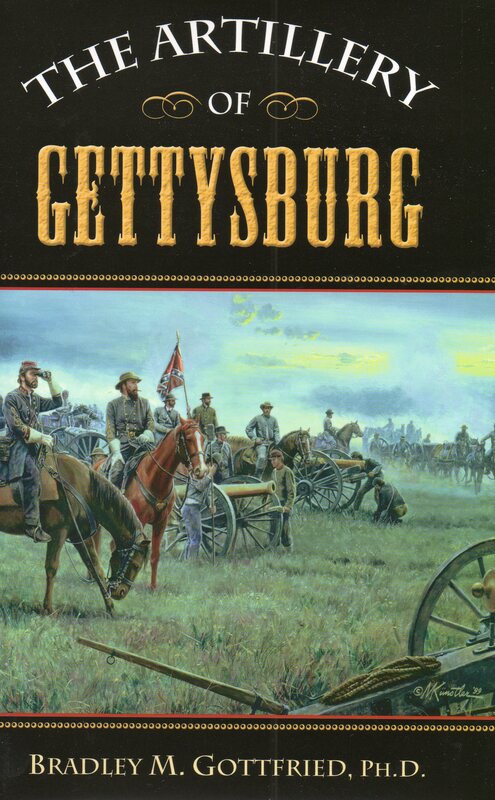 There are other Gettysburg artillery books on the market, but this one is different– it explains how the artillery participated in the battle, from the opening gun on July 1 until the repulse of Stuart’s cavalry on the afternoon of July 3. The book has generated a number of very positive comments and it is one of my favorites. I am selling this book, with personal inscription, for $25.00. While researching my Brigades of Gettysburg book, I saw, time and time again, the important role of the “long arm” of the service. I decided to devote a volume to telling the story of Gettysburg through the “eyes,” or should I say, “muzzles” of the artillery. I really enjoyed writing this book and learned so much doing it. After completing it, I sent prospectus’ to many publishers. Out of the blue, on a cold Sunday afternoon, I received a phone call from Ron Pitman, owner of Cumberland House Publishing Company. He really wanted to publish my book. We agreed on terms and it was published soon after. Ron subsequently sold his company, so I have had no direct interaction with him since. He is a fair and honest publisher.